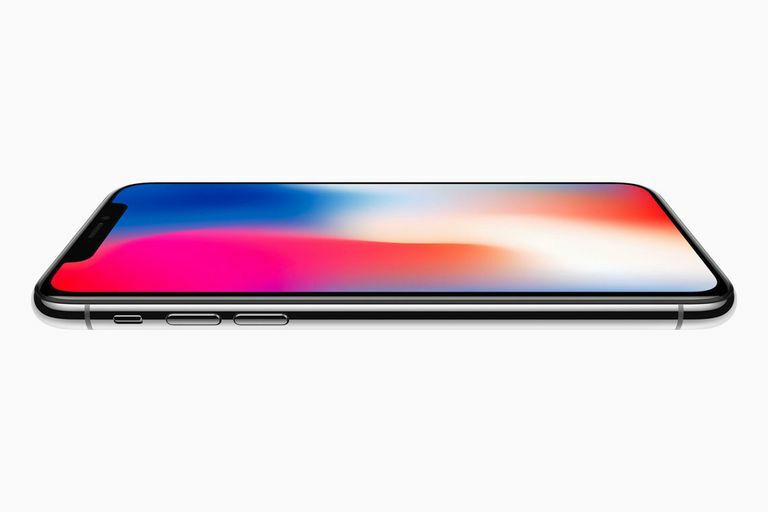 The iPhone X (pronounced "ten") is the 10th-anniversary edition of Apple's flagship smartphone. When introduced, Apple CEO Tim Cook called it, "a product that will set the tone for the next decade." From its edge-to-edge OLED screen to a front and back made of glass to new features like Face ID, the iPhone X looks nothing like the past few iterations of the iPhone. Add in a huge 5.8-inch screen in a form factor that's actually smaller than the iPhone 8 Plus, and it's a stand-out device. While the dual-camera system on the back of the iPhone X is essentially the same camera as on the iPhone 8 Plus, the X's user-facing camera is better than what either iPhone 8 model offers. It supports improved lighting features, a portrait mode, and animated emojis that use your facial expressions. If you have strong selfie game, the X marks the spot. Another intriguing difference is that while the X offers the largest screen of any iPhone — 5.8 inches diagonally — its size and weight are closer to the iPhone 8 than the 8 Plus. By using mostly glass to make its body and a new OLED screen, the X weighs less than an ounce more than the 8 and is only 0.01 inches thicker. Besides the features and improvements already mentioned, the iPhone X introduces three breakthrough features to the iPhone line. Of them, Face ID may be the most important change. This facial recognition system replaces Touch ID for unlocking your phone and authorizing Apple Pay transactions. It uses a series of sensors placed near the user-facing camera that project 30,000 invisible infrared dots on your face to map its structure in minute detail. The facial mapping data is stored in the iPhone's Secure Enclave, the same place Touch ID fingerprints are stored, so it's extremely secure. One of the most entertaining features of the iPhone X is the addition of Animoji — moving emoij. Animojis only work on devices running iOS 11 and higher. Any device capable of running iOS 11 or higher can display Animoji, by the way, not just the iPhone X. Regular emojis are still available are the iPhone X, too. The most obvious change in the X is its screen. Not only is this the largest screen in iPhone history, it's a full edge-to-edge screen. That means the edge of the phone ends at the same place as the screen, making the phone more engaging. That improved look is also aided by the Super Retina HD display. This even-more-hi-res version of Apple's already gorgeous Retina Display delivers 458 pixels per inch, a big step up from the 326 pixels per inch on the iPhone 7 and 8. Lastly, the iPhone X delivers built-in wireless charging (both iPhone 8 series phones have it, too). This means you just need to place the iPhone on a charging mat and its battery will start charging without needing cables. The X uses the widespread Qi (pronounced "chee") wireless charging standard that's already available on other smartphones. With Apple adopting this standard, it means all major brands support it and we'll likely see it deployed in common areas like airports, restaurants, and coffee shops. Apple's AirPower charging mat can power an iPhone, Apple Watch, and next-generation AirPods at the same time. The iPhone 7 series was a terrific line of phones, but the iPhone X makes them all look positively ancient. The X bests the 7 series in almost every major way. The list of things that the X offers that the 7 series doesn't is too long to cover here, but some of the highlights include: a new, faster processor; a larger, more vibrant and high-resolution screen; wireless charging; improvements to 4K and slow-motion video capture; the Face ID facial recognition. Perhaps the most important area where the 7 series has an edge, though, is price. The 7 series phones are still excellent devices and a 32GB iPhone 7 is about half the price of a 64GB iPhone X. The iPhone X was succeeded by three models that are all based on the foundation created by the X. The iPhone XS, XS Max, and XR, released in 2018, all offer the edge-to-edge screens and top-end cameras. The XS Max and the XR have even bigger screens — 6.5 inches and 6.1 inches, respectively — and the XS and XS Max both sport 512GB of storage at the top end. What Makes iPhone XS and iPhone XR Different?